I'm very particular with the lodgings that I book during my trips. So I log in the necessary research so that I wouldn't have to deal with some of the mishaps that might happen along the way. So when I was looking for a place to stay in Baguio for this month, I started emailing my inquiries to several accommodations. And to me, the best option was UPSTAIRS BED & BATH. I was in constant communication with Sir Engelbert, who I later on found out was the owner of the inn. He was always prompt when it came to answering all of my questions, and was very accommodating. Despite sending him so many inquiries, he still gave me his time. Plus, his tone was always pleasant. And that to me was pretty commendable. He even adjusted my initial booked dates when a big storm hit the city two weekends ago. I also have high praises for his staff (Benedict and Ronald in particular), who were both working during our stay. They greeted us with a smile upon entering the inn. They even allowed us to check into our rooms early in the morning, which was a plus (check-in time is supposed to be 2 PM). They also offered my brother one of their Family Room's since another guest had to extend his/her stay. He was supposed to have the Semi-Private, but was given the Family Room for that first night. The Standard Room that I got (Room 302 was on the 2nd floor) consisted of two single beds, a private bathroom with a hot & cold shower, a small cube table, and a cabinet stand that was mounted on the wall. The room had no A/C. But we had big windows (no view) that let in cold air from outside. It was so cold that we literally shut the windows. But the chilly breeze still seeped in at the cracks some point. But it was still refreshing, given that the room had no A/C. Oh, and the beds were comfy too. And the blankets that were provided to us really kept us warm throughout the night. The bad thing about having our rooms though is that we didn't get to hold and keep our own keys. We were told that the previous guests lost their copies, so the receptionists were always obliged to open the doors for us every time that we would arrive at the inn. I don't know if it's Baguio's location being really high. But we noticed how the water supply was so scarce and weak. The water from the shower could barely rinse my body and hair. I had to spend a lot of time just trying to remove the soap and shampoo. And given the little water supply, you can also imagine how many times we had to flush the toilet. Yeah, that icky. I know, sorry for the graphic imagery! And for a price of PHP1,200, I kind of expected a little more from the inn. I would've appreciated having an ample supply of water for starters. And some toilet paper too. Oh, and a mat that can be placed inside the bathroom (to avoid slippage and all that muddy tracks). Oh, and the bathroom had no exhaust fan or a window that would let out the steam or the stench. There was only a rectangular hole that had a few wooden block strips mounted on the wall. So you can imagine all those vapors entering our room. Good thing we brought a pack of matches, which we would light to eliminate the 'odors'. I wasn't able to review Room 306 thoroughly since I didn't stay there. But there were still a few comments from my brother. The room that he got was the farthest from the stairs. It was also near the shared bathrooms. And given his location, he also noticed that the Wi-Fi connection was weak on his end (barely had any signal). Plus, the private bathroom that was just outside his door also had a weak supply of water ---- so you can imagine how he gets by when taking a bath or while doing his business! Lol. My brother transferred to the Semi-Private room the next day (the one that we initially booked). He actually preferred this room over the first one, since he loved the ambiance despite being a tiny space. He also loved the fact that the Wi-Fi connection was faster in this particular area. He also enjoyed his stay there and would sleep soundly whenever we'd have some downtime during the day. Room 301 (charged at PHP800/night) also had a window that my brother kept open. I wasn't really impressed with the room that we slept in. But I can see why the price is that high. It's probably because of their location. UPSTAIRS Bed & Bath is actually a few steps down the famous Barrio Fiesta Restaurant. 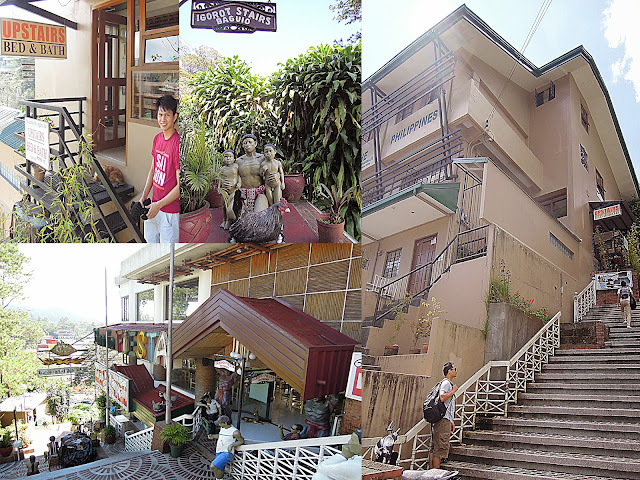 The inn is situated on the right side of the Igorot's Stairs, if you're walking down. 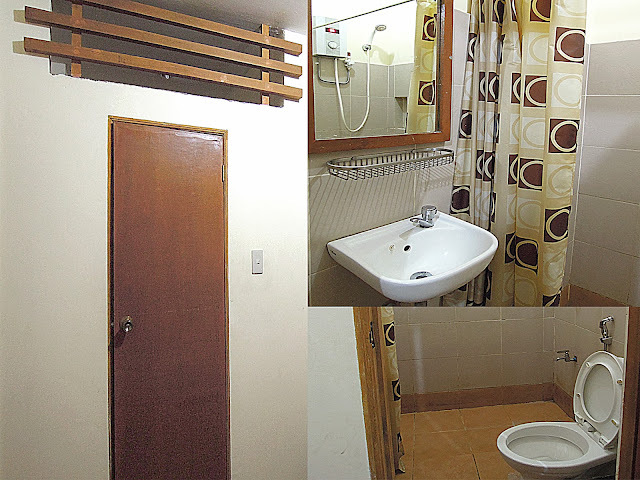 It's also in front of SM Baguio, and is just a short walk away to the mall. 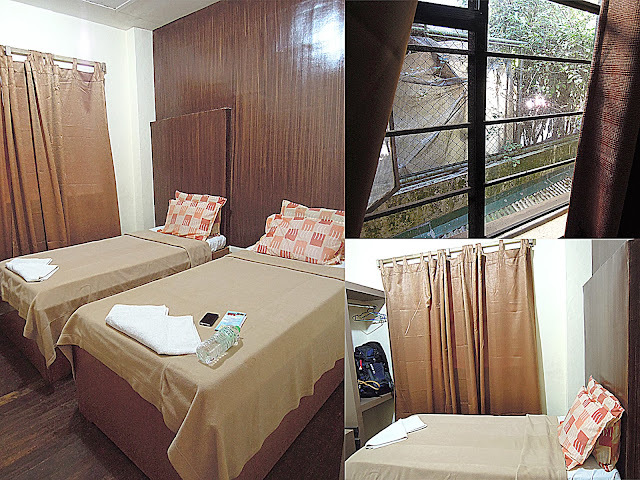 Apart from that, UBB is also a few minutes away from Session Road, where several restaurant choices, the Baguio Cathedral, and other commercial establishments can be easily accessed. Rubel checked the walls of our rooms, and came up with the conclusion that these were made out of plywood. Just imagine being tired from a 6-hour bus trip, only to be disturbed by constant laughter and noise in the hallway. Yes, we were one of the unfortunate guests that had to hear all the hurly-burly from the insensitive nursing student reviewees who were staying in UBB for the weekend. Man, their noise annoyed the wits out of us! We had to endure our first night with their loud conversations, as everything seemed amplified from where we were. Catching sleep felt so impossible. We actually told the receptionists about the commotion several times during the day, but I don't think their warnings sufficed since we still heard so much prancing around. Good thing we were all tired, so we eventually drowned the chaos from outside our walls. Although I appreciated Sir Ronald's sincere apology when we checked out of the inn. Other than the fact that Sir Engelbert was so accommodating, I also read the positive feedbacks (on their Facebook page) from the guests that they were able to host in the past months. And they've had nothing but high praises for the inn. Plus, the photos of all the rooms looked really nice. 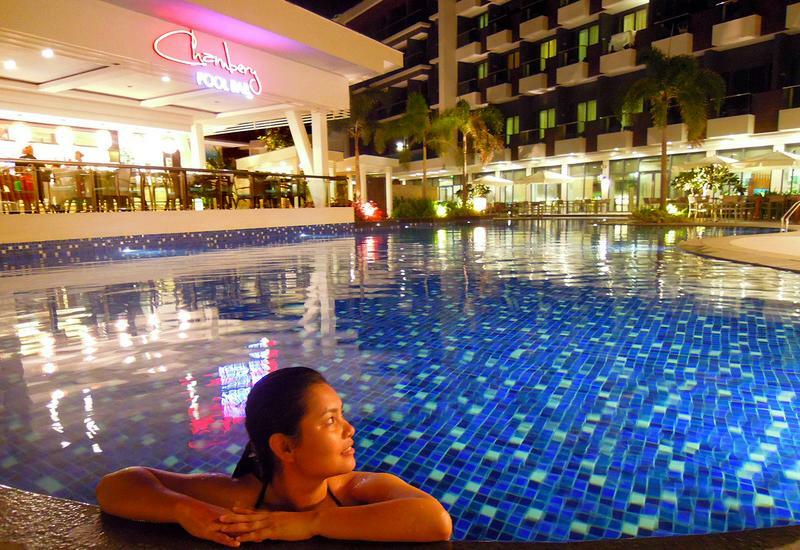 So those three things really encouraged me to book UBB. It was just unfortunate that we had to encounter more bad things than good throughout our stay. But I do have to commend the look of their lobby though, as it was really modern with its wooden elements and earthy tones. 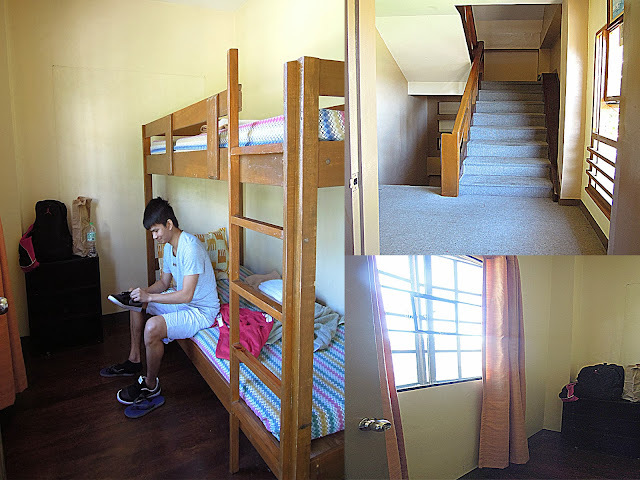 I've stayed in a few budget accommodations that have provided better amenities (comes with soundproof walls and a strong water supply) with the price that Upstairs Bed & Bath offered us. And given our 3-day experience, I'll probably stay in another lodging the next time I'm in Baguio, despite UBB's great location. How about you? Have you stayed in Upstairs Bed & Bath? What was your experience like? Too bad, we were in Baguio at different times. The thin wall is a turn off though due to the constant disturbance. Onga, sayang Franc! And true.. nag Nap kami ng brother ko nung hapon (our first day there). Twice ata ako nagising kasi sobrang ingay sa labas. :( Kahit nung gabi ang ingay pa din. Buti nlng sobrang pagod din naman, naDrown namin yung ingay eventually.